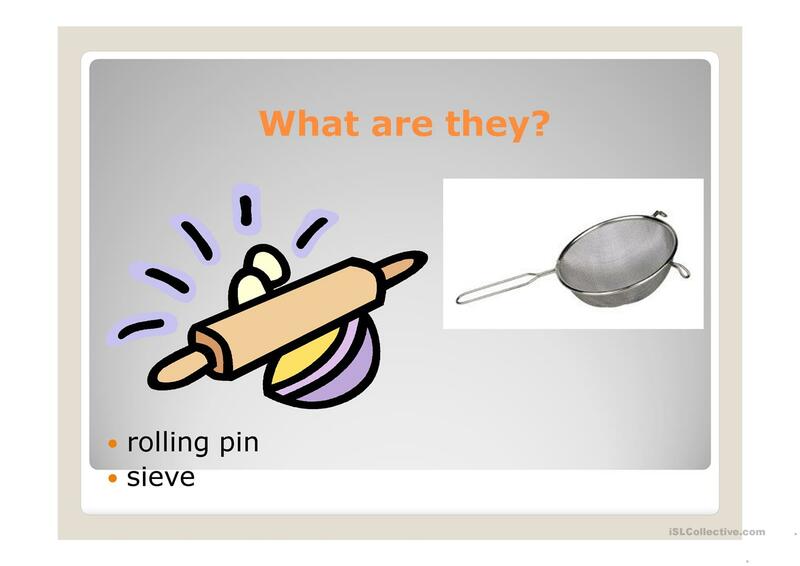 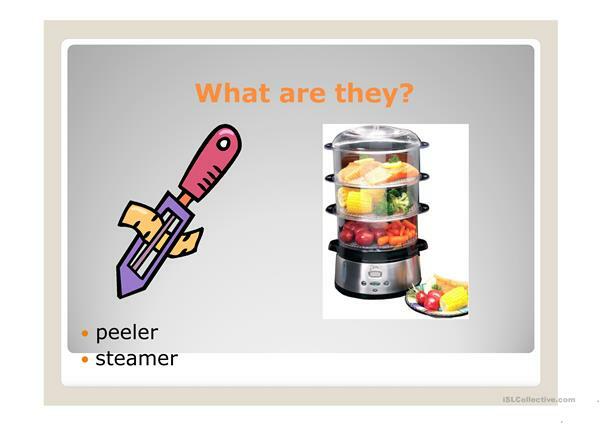 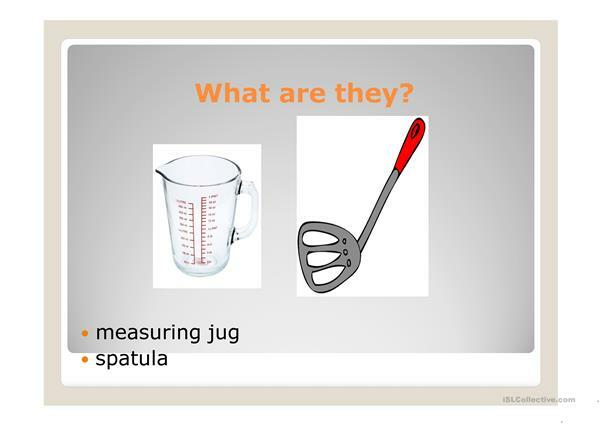 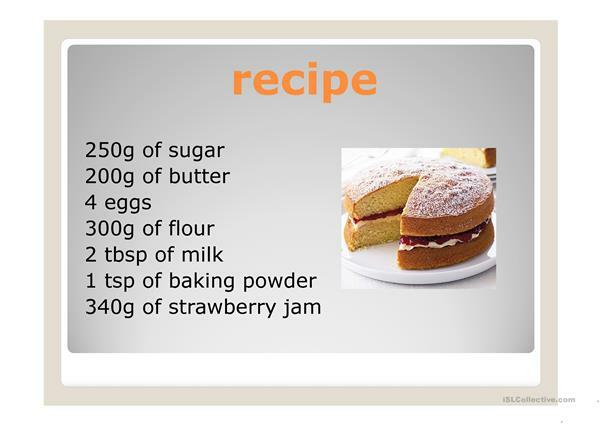 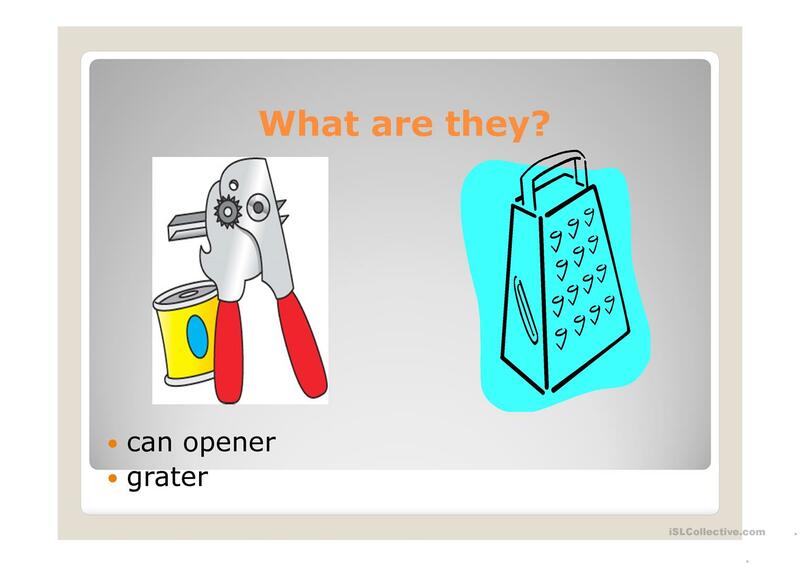 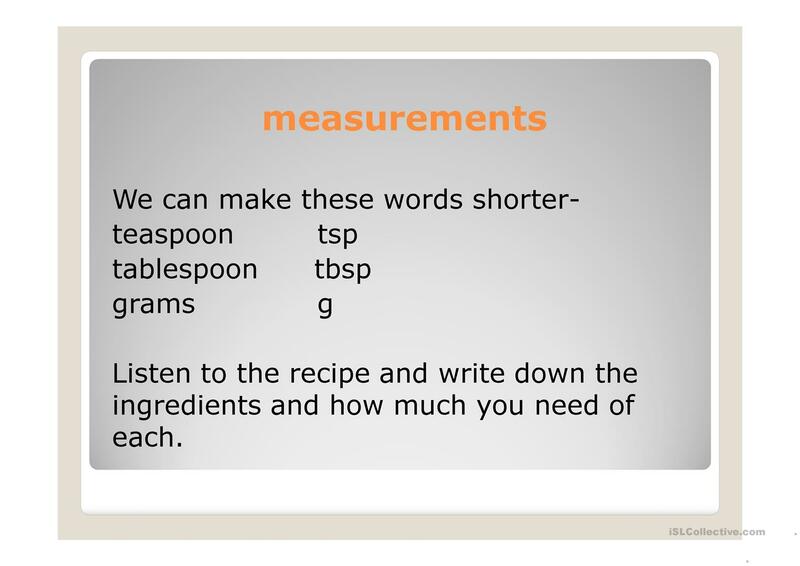 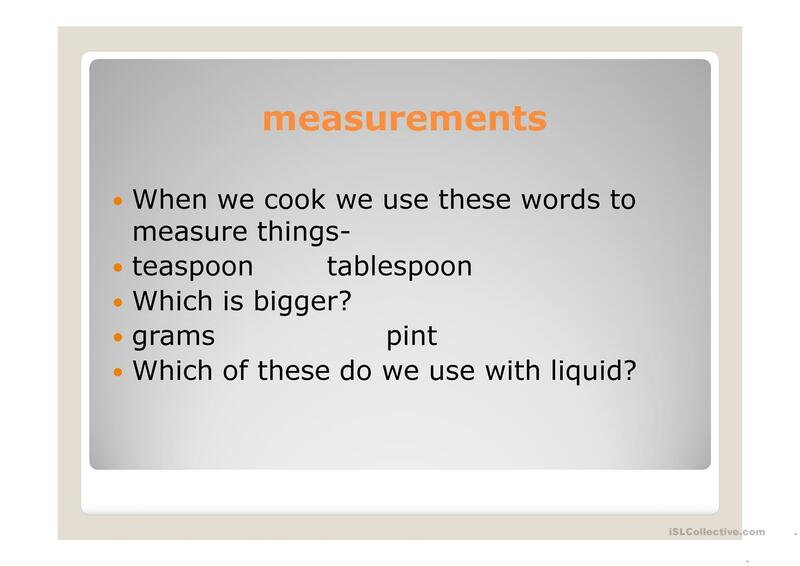 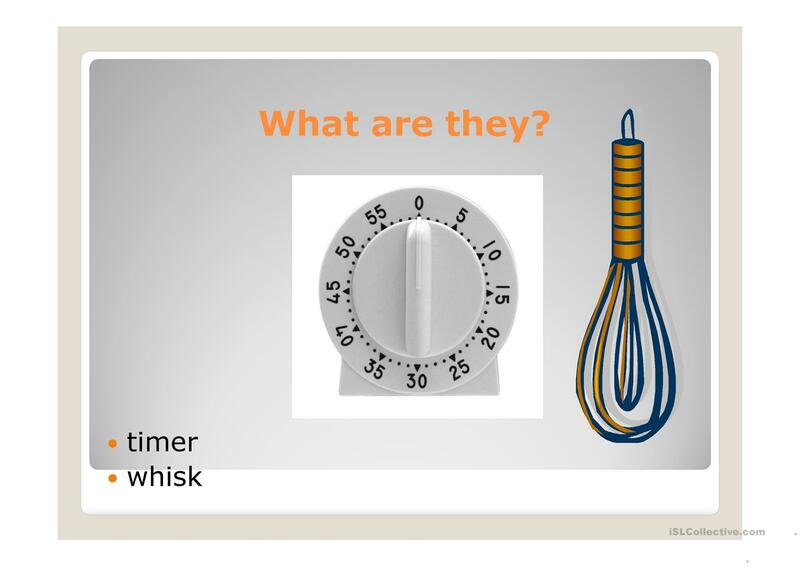 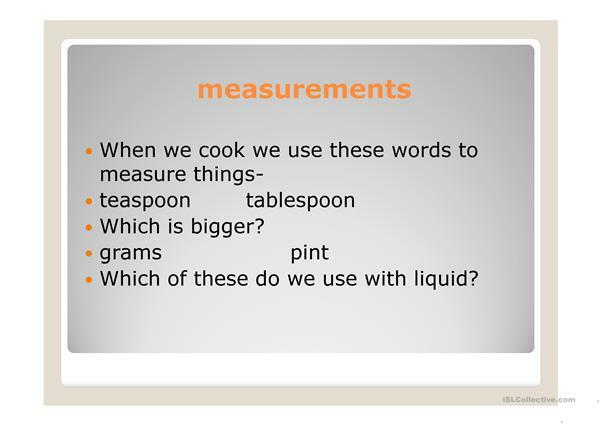 This presentation introduces students to the names of cooking utensils and measurements that we use in cooking. 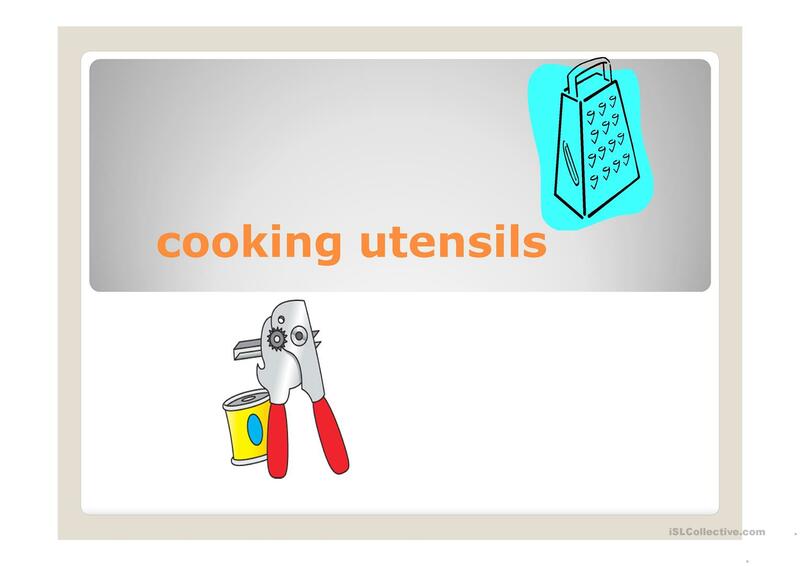 This downloadable teaching material is a great resource for adults at Beginner (pre-A1) level. 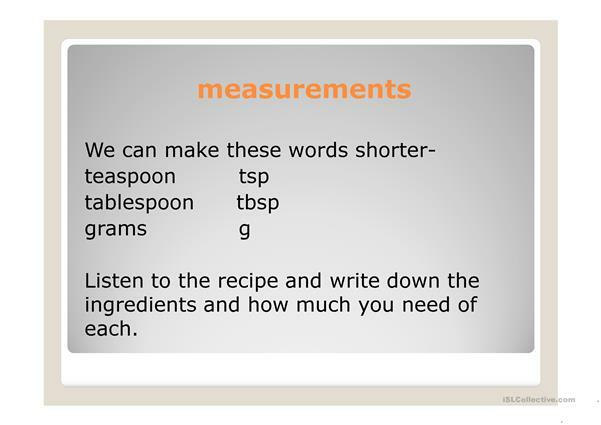 It was designed for working on your learners' Listening, Spelling, Speaking and Writing skills. 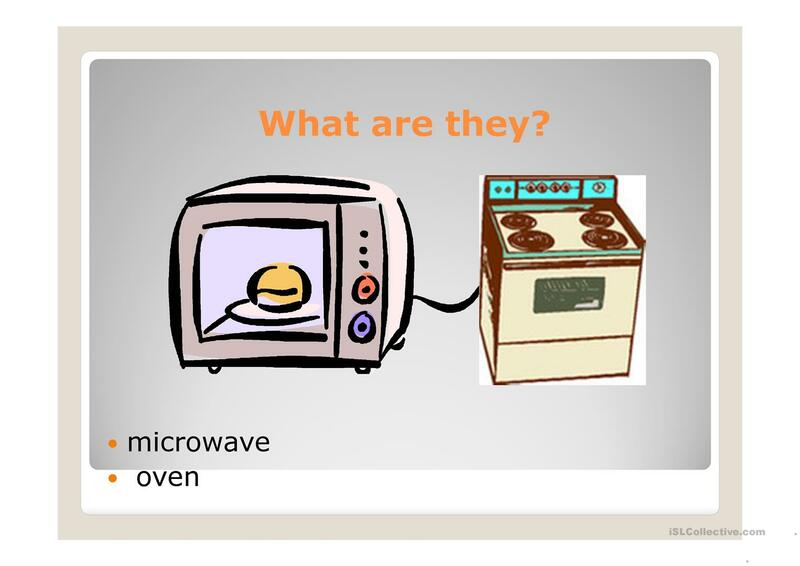 It features the topic and words of Home.